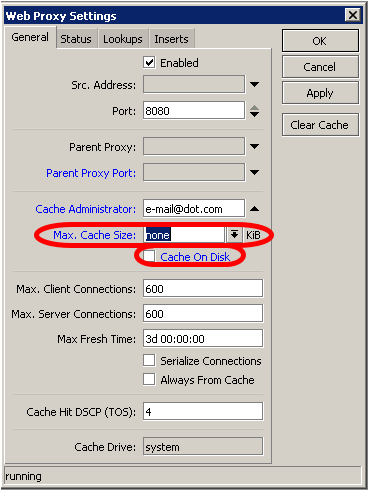 MikroTik RouterOS proxy implements different features of HTTP caching and filtering. RouterBOARD can be used to implement HTTP caching on your network. RouterBOARD uses NAND as hard drive, external drive is more recommended due to space limitation 64/128/512 MB, when HTTP caching is necessary on your network. 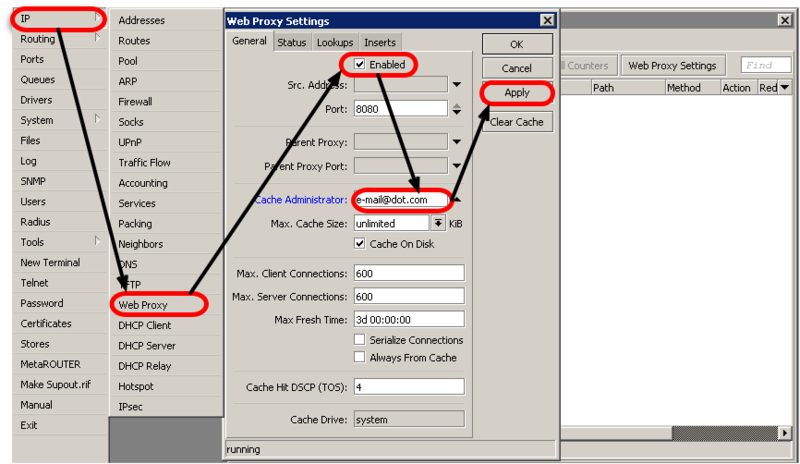 MikroTik RouterOS proxy can be used in three modes, a) cache is not saved anywhere; b) cache is saved to RAM; c) cache is save to Hard Drive. When RouterBOARD does not have external drive, it is advised to use a) or b) method. c) is used with the RouterBOARDs, which have external drives. 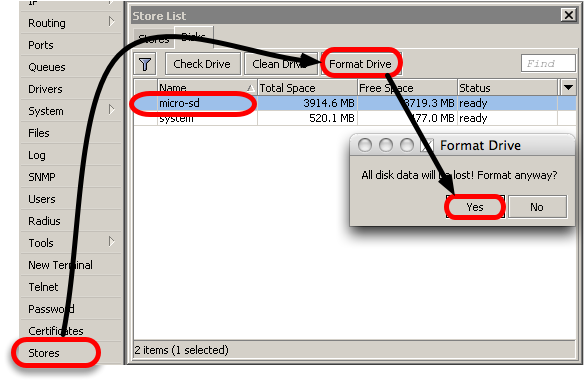 The example covers configuration, when proxy caches HTTP traffic to the external drive (CF, MicroDrive or MicroSD). 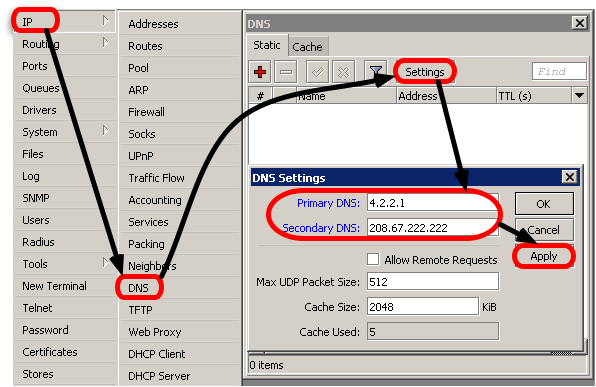 Proxy uses own DNS to resolve webpages IP addresses, therefore DNS configuration on the router is necessary. 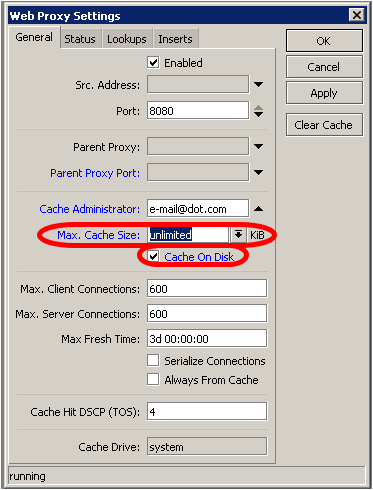 Example uses global DNS server addresses, please use local DNS servers addresses to ensure faster DNS resolution time. Proxy is enabled at this point. 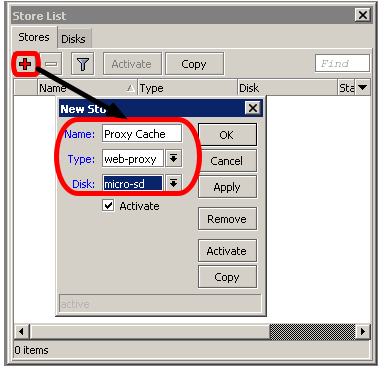 Additional configuration is necessary for the clients browser, proxy address should be added to configuration settings on the client computer. 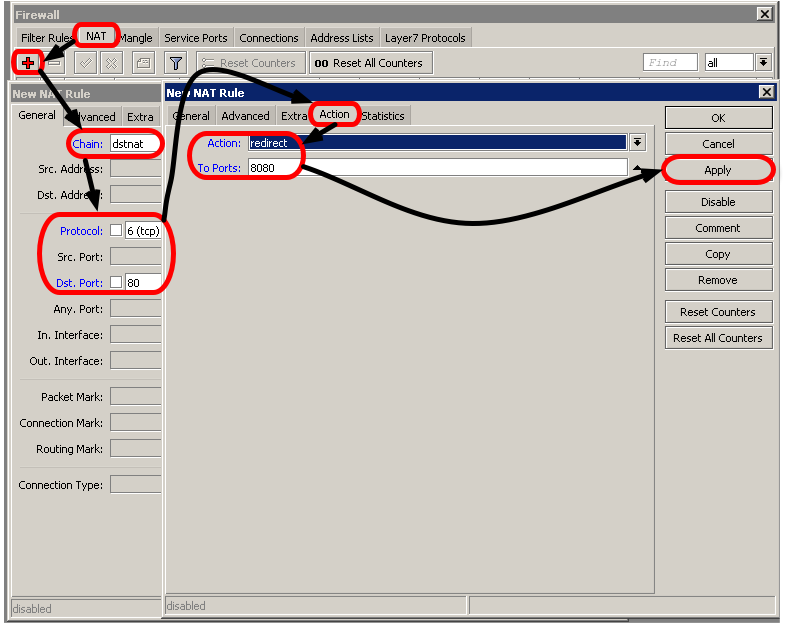 Add NAT redirect rule to avoid mass configuration of clients browser, redirect rule will forward all clients to the proxy. Let's look on the proxy example, when RouterBOARD does not have external drive, proxy cache is saved to RAM or not saved anywhere. This page was last edited on 15 January 2010, at 12:34.